Swedbank has enabled payments by China’s UnionPay cards at its POS terminals, BC was told at the bank. “Over the past six years, the number of Chinese tourists has grown six-fold in Latvia. We are glad that while visiting Latvia, holders of UnionPay cards will be able to pay for their purchases with their cards in the network of Swedbank POS terminals, while retailers will be able to serve an even broader range of clients. With this cooperation, Swedbank becomes the first bank in Latvia to start accepting China’s UnionPay cards in its network of POS terminals,” said head of corporate banking division at Swedbank Latvia. 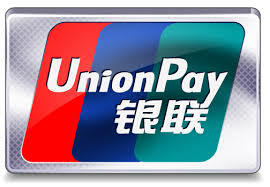 UnionPay is a Chinese bankcard services corporation and the largest payment card organization in the world by the number of cards issued. Altogether, it has issued an estimated 7 bn payment cards in more than 49 countries, including 100 million cards outside mainland China. The bank’s representatives said that retailers need to make no special adjustments as the UnionPay support function has been automatically activated in Swedbank POS terminals.